Great idea! But anthology series don't have the streaming addictiveness of serialized drama. I'm sure Apple will come up with its HOUSE OF CARDS/BREAKING BAD/GOT. Hollywood is almost completely out of ideas. So, bring back past successes, make movies out of comics, movies out of TV shows, and TV shows out of movies. It's not a "remake", which sounds bad, it's a REBOOT! So hip! Hey Apple how about looking at independent film makers and writers for ideas instead of going for homogenized entertainment which is why everyone is abandoning broadcast tv for streaming services? Oh I forgot all you understand it mainstream, mass audience culture or tired formats like "planet of the apps". Here's you chance to add to culture instead of adding more noise. People tend to forget that this is an age-old phenomenon. Heck, when Amazing Stories originally aired, it was paired with an updated version of Alfred Hitchcock Presents, bringing back a show that had been cancelled 20 years earlier. In fact, some would say that complainers are completely out of ideas because they keep dredging up this same complaint year after year, decade after decade. The problem here is that Amazing Stories was never a success. It debuted to great ratings, then petered out. Coincidentally, as I recall, the episode quality followed the same trend line. One thing it did have going for it: a theme by John Williams. Hope they'll bring that back, at least. I was a big fan of Amazing Stories, there were some really good episodes in that series. This is the first Apple video content I'm actually interested in watching. How does this work? Will you get it for subscribing to Apple Music? This is great. Hopefully Apple keeps Spielberg as an associate or even contract him for Apple movies/shows. I like the Amazing Stories episode titled "The Mission" I think it and one other was the only full hour episodes made. The other episodes was half hour long. Looking forward to this. Good stories, well told, never go out of style. There was a reboot effort of "The Twilight Zone" as well as the movie. Look at how many episodes of the original Rod Sirling version were turned out in a season - 30 or more. Maybe they were so good because the stories were the centerpiece, not the production value. This might work. Spielberg is definitely capable of creating material that would not even offend an eight-year-old Sunday school girl. Perfect fit for Apple. Apple is telling Hollywood - over and over again - that it wants to spend big on TV shows. It hasn't explained *why* it wants to do that. The story of Tim Cook’s Apple. We get the what but not the why. Is it because they have money that they don’t know what to do with? Is it to boost Apple Music subs? Or satisfy Wall Street’s obsession with “services” and recurring monthly revenue? Also now that Apple has he TV app does it make sense to dump stuff like this into the Music app? You really can't do any worse than Planet of the Apps and Carpool Karaoke. I think -- and I've consistently maintained -- that it's a strategic mistake for Apple to get into the content game. Putting non-music TV/film content on Apple Music — dumb, makes no sense. Gee thanks for pointing out my typo, now everyone will understand the point I was "trying" to make. I tend to agree unless the people in their entertainment division are able to work like Marvel, Pixar and Lucasfilm are with Disney. Almost no Disney interference. The problem here is that Amazing Stories was never a success. It debuted to great ratings, then petered out. 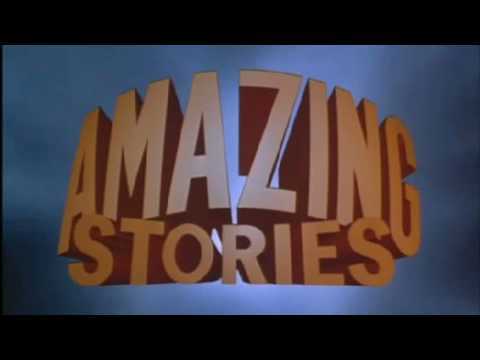 I can't remember a single episode of Amazing Stories. I was just a kid but I DO remember being very excited about it coming out and then being mildly disappointed in it and then not really watching it. Hopefully they do a better job this time around. Count me skeptical also. At least if it fizzles out it’s not something I count on to get work done. I believe "The Mission" was the pilot episode. It was not bad.